The Internet, apps, the web, email and instant messengers have all made business communications much more effective and efficient. However, landline and mobile phone services are often forgotten when it comes to using business technologies, probably because such technologies have been around for so long and do not appear to have evolved to the same extent. That has all changed with the introduction of hosted phone systems (hosted VoIP systems) which can combine landline and mobile communications seamlessly to provide a complete communications package for businesses small and large. With lots of clever features and the emphasis on control and management via a web portal, hosted VoIP systems take the responsibility away from IT. The systems are easy to configure and quick to respond to your business’ changing needs while allowing your employees to efficiently manage their calls. 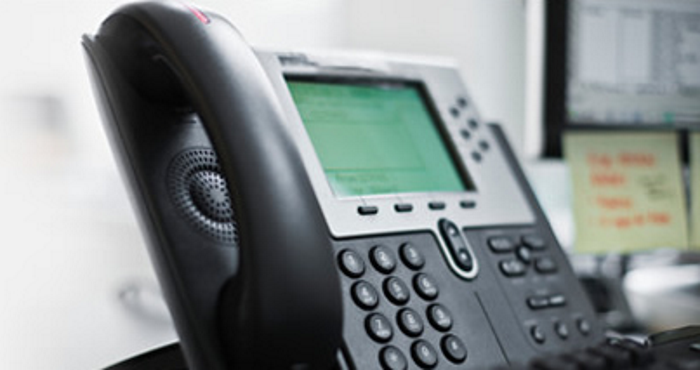 Hosted VoIP systems have minimal capital outlay and with a reliable service and straight-forward approach they are the perfect communications solution for businesses looking to increase productivity, save money and improve their image. Features you can easily control – Hosted VoIP systems come with an extensive range of call handling and management features, all operated through an easy-to-use web interface. Empower your staff with ‘one number anywhere’ – Callers need only dial one number to reach your desk phone and mobile phone simultaneously; ongoing calls can be moved seamlessly from one device to another without hanging up and a single voicemail box can be accessed from any device. An on-demand service with no hidden costs – with hosted VoIP systems you only pay for what you need on a simple per seat basis. As you’re not buying a PBX, there’s no major hardware investment and no financing costs to consider. Lower call costs – With hosted VoIP systems, you get all the benefits of IP telephony including free site-to-site calls and ALL UK calls are FREE to 01, 02, 03 and 07 numbers, and they are unlimited as well so you don’t have to count the minutes! Enables flexible working – Hosted VoIP systems help businesses become more efficient by enabling flexible work environments through hot-desking, home working and extending the service to mobile devices. Number choice – You have total flexibility with the numbers you want to use. Keep your existing numbers or get new ones. Extend your business reach and use any local area number no matter where you are located. A business continuity solution – Unexpected events such as snow, floods, strikes or utility roadworks won’t disrupt your business. Hosted VoIP systems sit in the cloud meaning that they provide business continuity features that allow your organisation to carry on making and taking calls, whatever the circumstances. High voice quality – The right connectivity is essential to delivering high-quality voice connectivity, simply sending voice traffic down your existing broadband can lead to degradation of service. To prevent loss of quality hosted VoIP systems are provided over dedicated fibre connections or managed ethernet circuits with QoS (Quality of Service) routers to ensure you continue to receive the high-quality voice connections you require. Mobility – With a hosted VoIP system, there is no need to change your telephone numbers when you move or when you have equipment at multiple sites. Home, office and mobile workers can all be contacted as if they were all in one office, irrelevant of their physical location. We have partnered with Ideal Unified Communications Limited, a major provider of telecoms services, in order to assist business with their communications technologies. They bring together expert-level industry knowledge and an extensive supplier network to give you a service that is truly dedicated to your needs. Meanwhile, Smarter Technologies Ltd can integrate your communications technologies with all of your other business technologies to provide business solutions which improve productivity and save you money. If you want to know more about hosted VoIP systems or communications technologies, please do not hesitate to contact us or Ideal Unified Communications Limited for an initial discussion.